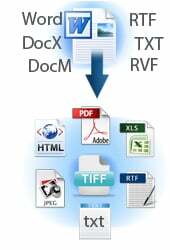 Users can encrypt the final PDF file in order to protect it from being copied or modified. 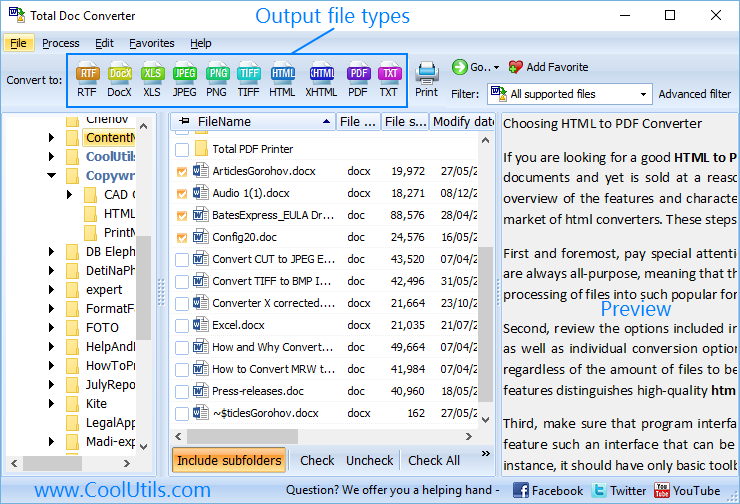 Total Doc Converter preserves original document properties (author, creator, key words, subject, title, etc.) when you convert DOC to PDF. More unique options..
Total Doc Converter is able to process any number of docs in a single pass, while maintaining folder structure to avoid confusion. 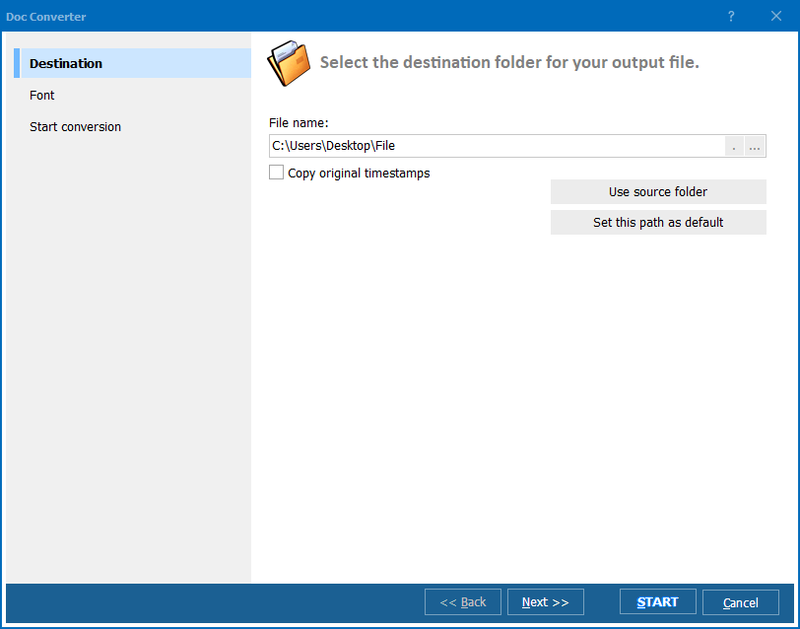 Download the most powerful batch DOC converter for free today! Note a 64-bit version is available upon request. Here is a server version with ActiveX. 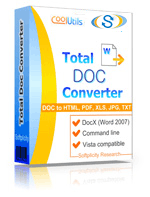 "I use TotalDocConverter to save Doc files with LZW compression. I usually built multichart figures with more than 20 MB which are not accepted by the papers editor. 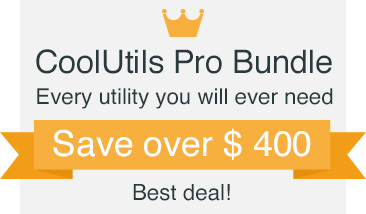 I found this program very usefull." "I faced no problem to place the order or even register the program. The main point is that after installation and registration, I ran the program once to make sure it is running OK and since then I have never used it yet. 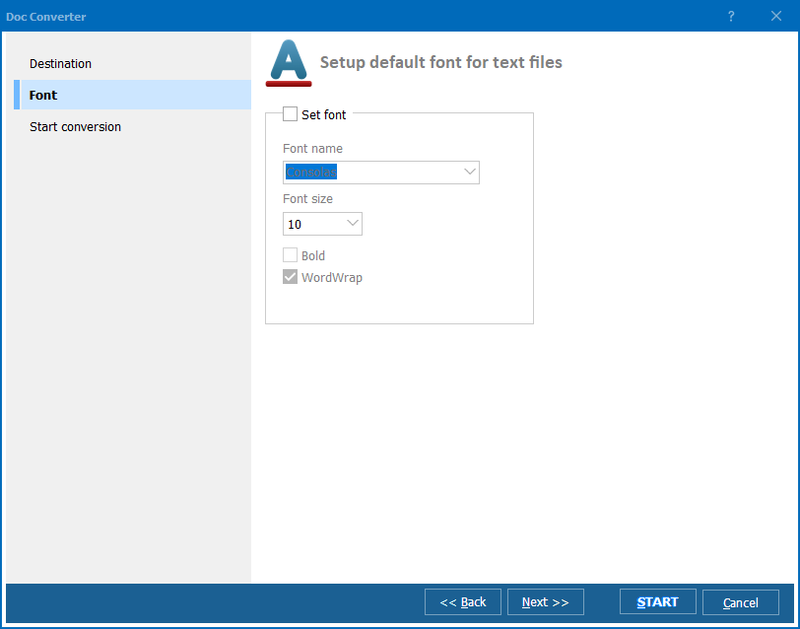 Because of its title Doc Converter I was sure I am going to use it some day that's why I bought it."